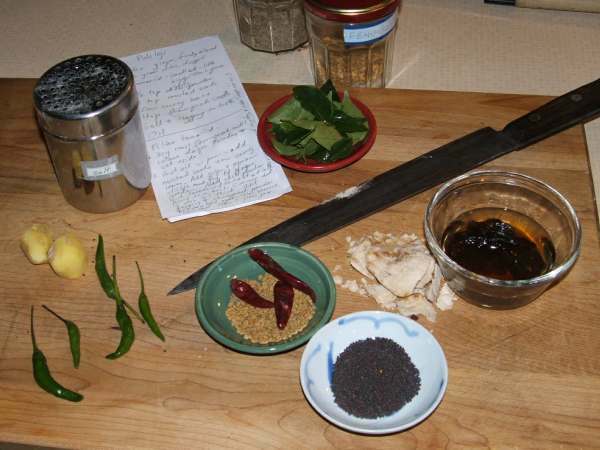 The ingredients for puliyinji: ginger, tamarind, curry leaves, mustard seeds, fenugreek seeds, jaggery, salt, green chillies (Thai), dried cayenne chillies, oil (not pictured). 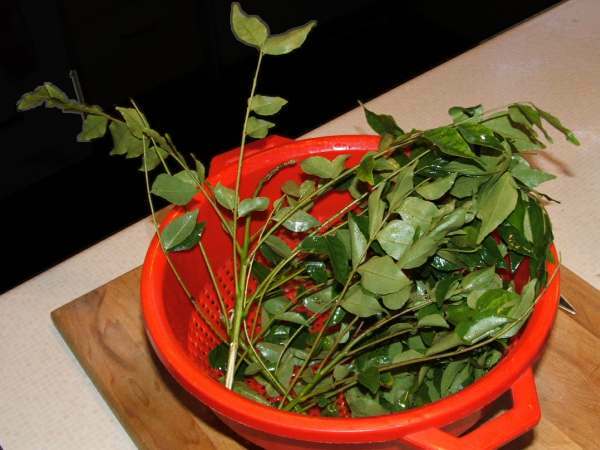 Curry Leaf (Murraya_koenigii) is an essential ingredient in South Indian cooking but especially in puliyinji. 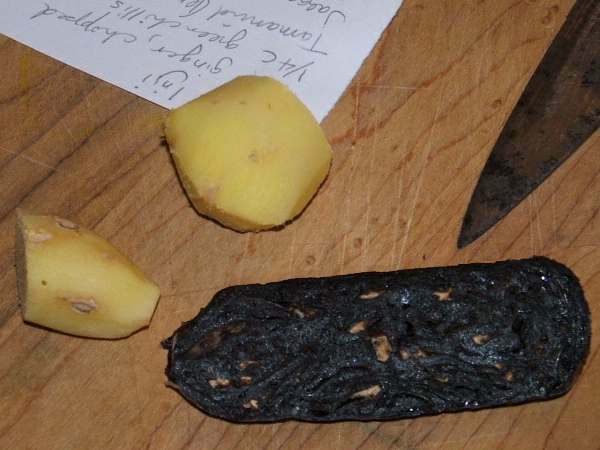 It is usually available in the refrigerated section of Indian groceries. Ginger and Tamarind are also essential ingredients. 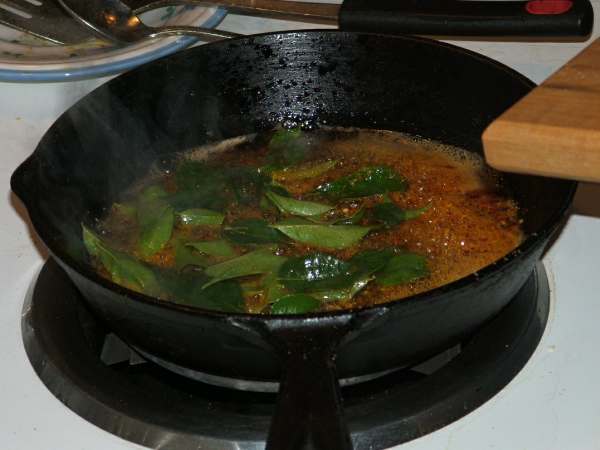 Fry the spices then add curry leaves and fry some more. 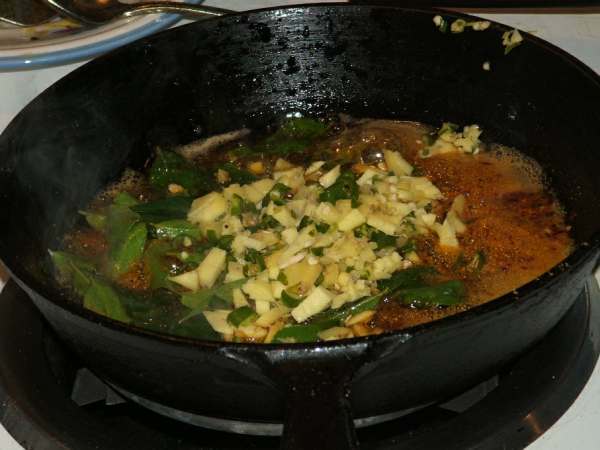 Add the ginger and green chillies and continue frying, stirring from time to time, until the ginger is golden. Stir in tamarind mixture, jaggery and salt. 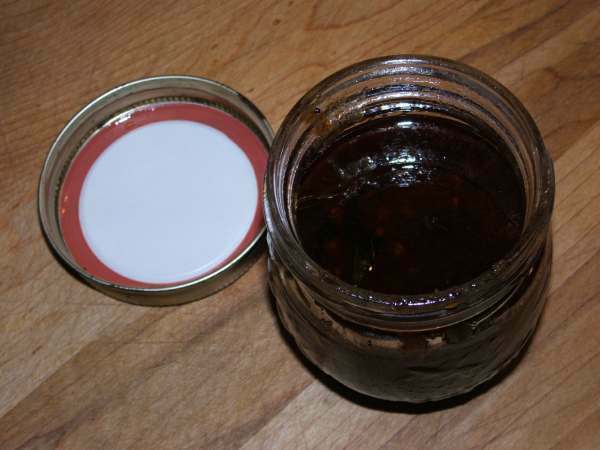 Stir until jaggery is melted and then allow to simmer for about 15 minutes, stirring some more from time to time. 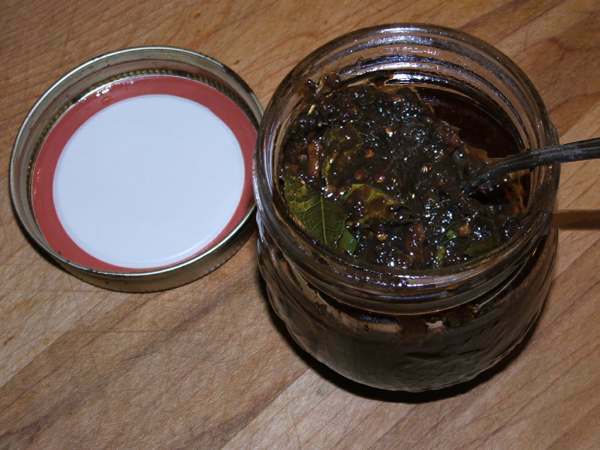 Once the puliyinji is done, store in a clean glass jar in the refrigerator. Puliyinji is fantastic with naan, rice, curry, lentils... you name it. 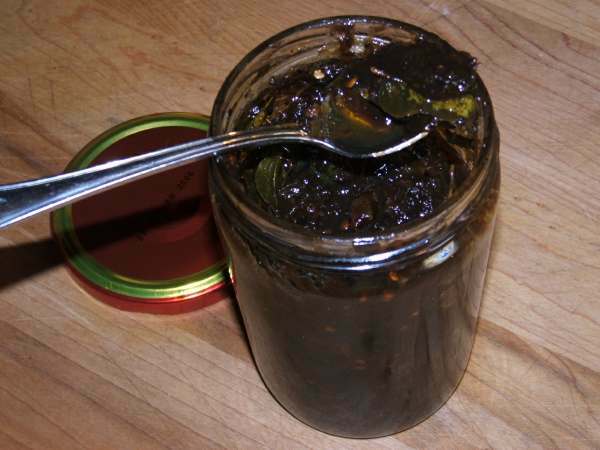 You can bet we'll be serving puliyinji with tourtiere.